I set out to explore more of the shores of the east coast of America. One in particular sounded interesting. While it has the most unique name of Slaughter Beach, it is one of the places Limulus polyphemus comes ashore on the tides of full and new moons to lay its eggs. The horseshoe crab (more properly, my sister informs me: traditionally called the horse foot crab for the shape of its shell) has been doing this for around 450 million years...waiting for the highest tides, created by the full moon, or the new one, it comes to the very edge of the tide, the large females pulling themselves along with their tweezer feet, the smaller males clinging to their shells with their front feet shaped like boxing gloves. They work their way into the sand, lay and fertilize the eggs, then return to the depths of the bay. On the next high tide, the hatchlings wash into the water and head for the sea. When the crabs began this, there were few animals on land, and those were small arthropods. Now, birds like the red knots, migrating from the very tip of South America stop to rest and refuel on the many crab eggs, before the birds continue their journey to the arctic. If climate change makes the birds migration too early... or if the crabs arrive at a different time... the birds will not be able to continue their journey to the arctic nesting grounds. The first stop was the DuPont Nature Center. There are many experienced birders with telescopes the size one might expect at NASA who can help you identify the small brown blobs you see on the sandbar. On to Slaughter Beach where one might expect to see vast numbers of horseshoe crabs... or not. I explore the beach and the mud flats exposed at low tide. The crabs should appear at high tide, which will be at about 7pm. Beaches are great fun to shoot on, except sand gets in everything, including the camera (and it's always windy) so protect your camera. In this case, the water was muddy, so flinging water at the seahorses to make them look like they were galloping through the surf was not in the script. 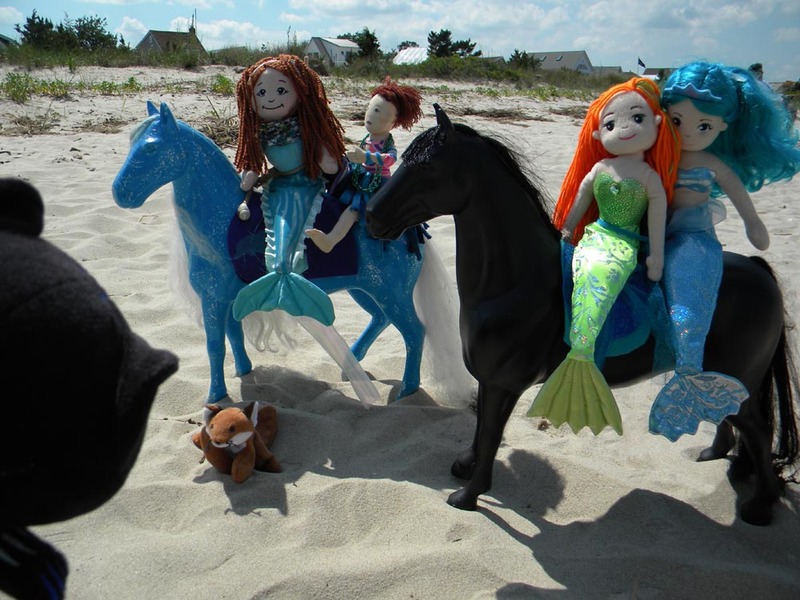 Despite saddles, pipe cleaners and dowel rods, mermaids still fall off. 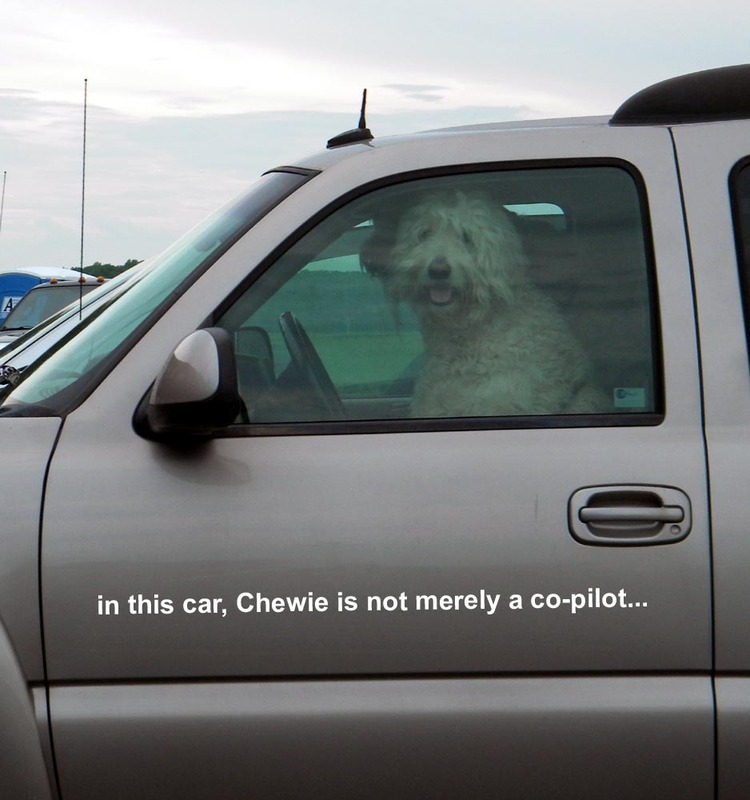 The wookiee was parked next to us at the seafood restaurant. If you find horseshoe crabs on the beach, just flip 'em. Putting them on their feet, or putting them back in the water will save them. Sometimes they get stranded too high out of the water. They can survive a little while on land (they hunker down to keep their gills wet). You can pick a crab up easily, but NEVER BY THE TAIL. Just lift it by the edge of the front shell. You can turn it over to see the feet, mouth and gills, just don't get your fingers between the two halves of the shell, it's pinchy. Take time to show others on the beach how cool these ancient mariners are (and how harmless). Horseshoe crabs are used in medicine too, so they actually save lives! Their eggs are critically important to the migrating shorebirds too.